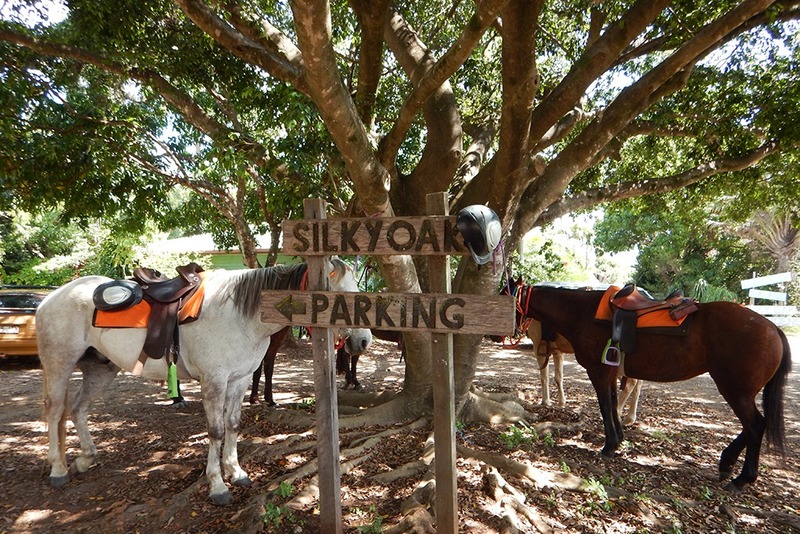 This ride starts and finishes at our farm in Goomboorian and includes lunch at the popular Silky Oak Tea Gardens. 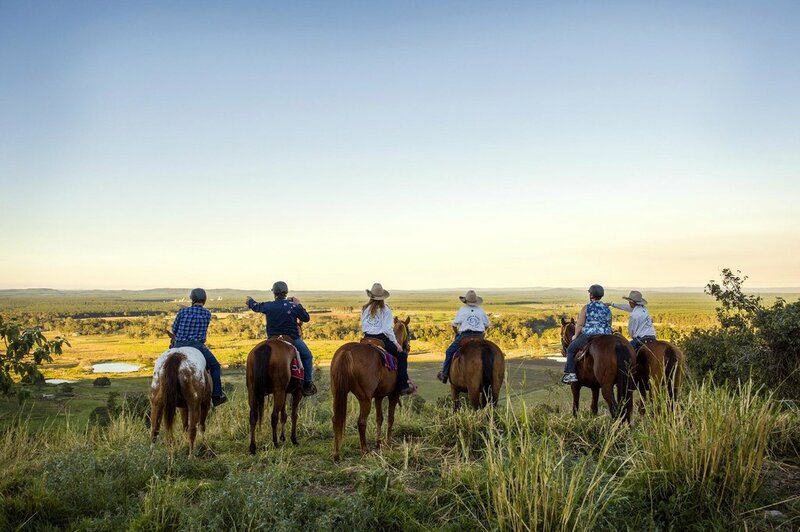 Only in rural Australia can you ride your horse to a restaurant where you literally dismount and submerge yourself in the rustic ambience of a truly authentic Australian dining experience. You will enjoy delicious home cooked meals, cold drinks and friendly service. There is even live music on the Sunday ride. During these rides, we regularly see many koalas, platypus, kangaroos, echidnas, etc in their natural habitat. It further includes creek crossings, riding through timbered country, open grasslands and mountain riding. This ride has proven to be very popular amongst all our guests. The overwhelming comments from these rides are that people don’t expect such amazing food and such spectacular views. The difficulty of the ride depends on your previous riding experience and we tailor each ride to the needs of each group. Our team always carry a camera and photograph each ride, these photos are made available to our guests free of charge. Guests from 10 years (unless experienced riders) and over. 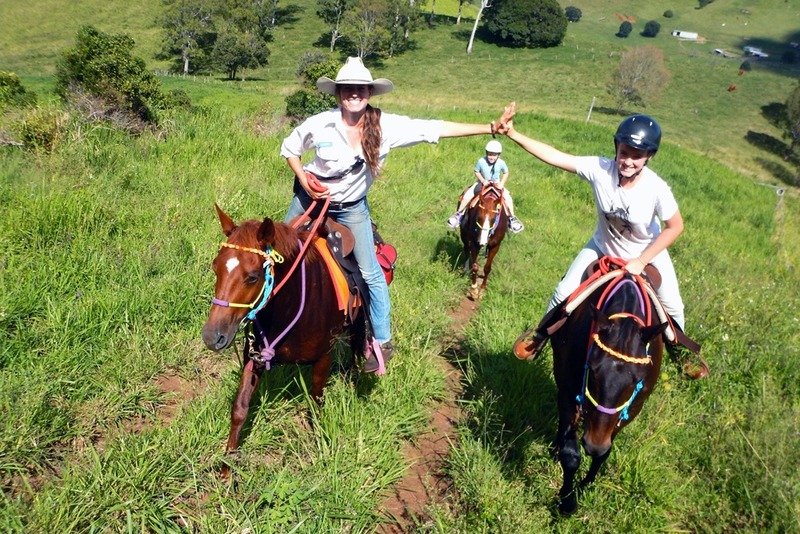 Private family rides are also offered for groups with younger children. We strictly follow the industry standard of 95 kg weight limit for our horse safety and guest comfort. If you are over this weight and an experienced rider, please contact us prior to booking. Guests will not be able to ride and no refunds can be issued for guests over this weight limit if you have not been in touch with our team prior to riding. Thank you for your understanding. 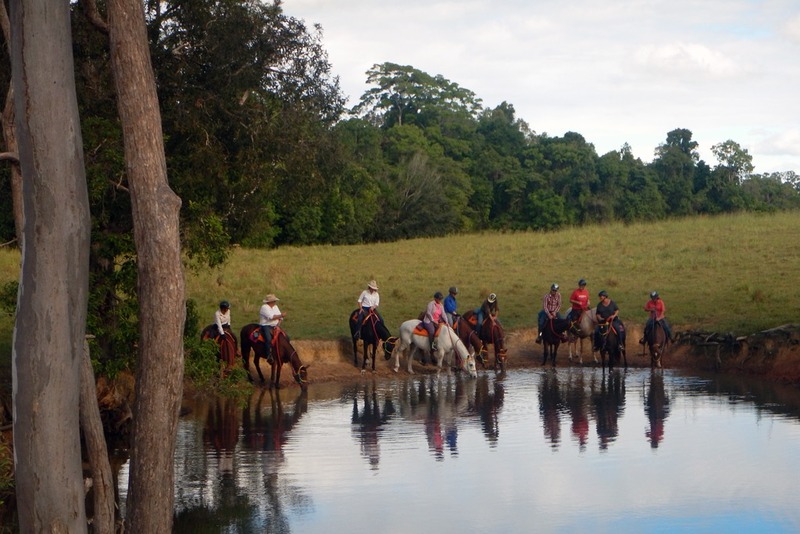 The start time of the Country Day Ride varies according to season, generally our meeting time is between 8:00am to 9:00am and we return to our farm around 3:30pm – 4:00pm. 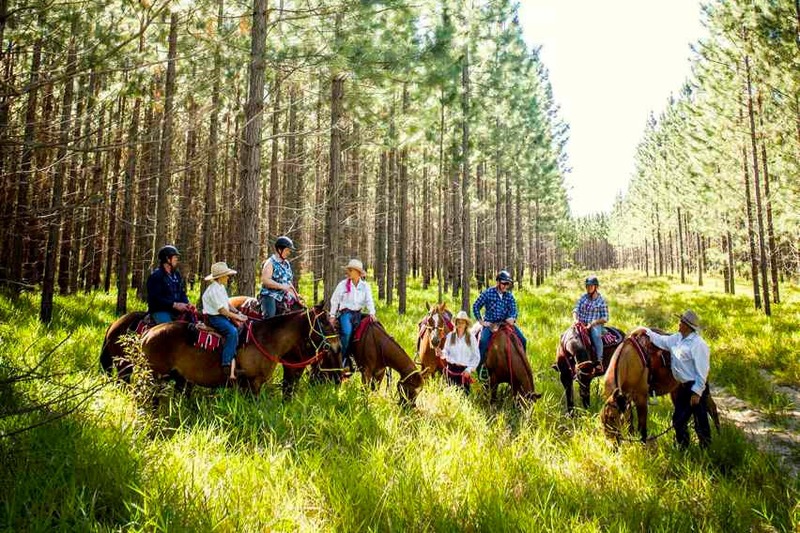 We invite guests to arrive 30 minutes before the scheduled start time to match you with your best suited horse and saddle for your ride, fitting of helmets, adjusting of stirrups and completing an insurance form, then we will run through a safety demonstration before the ride departs. Jeans or long pants and please wear enclosed shoes or boots for your comfort and safety. A jacket or light layers is also recommended in the cooler months. Each saddle has a water bottle holder if you would like to bring along a drink for your ride. Photos are also taken throughout the ride and we can load them directly onto your own USB, we do have USB’s available and AirDrop for phones with storage. Call us on 0412 174 337 or you can book online. You can also read reviews on our Facebook and Trip Advisor pages. Please note last minute changes and cancellations may occur due to weather and tide conditions.